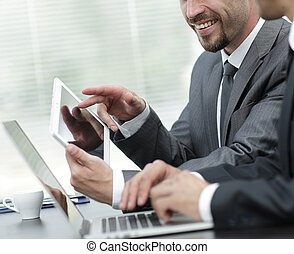 Closeup.business colleagues with digital tablet. 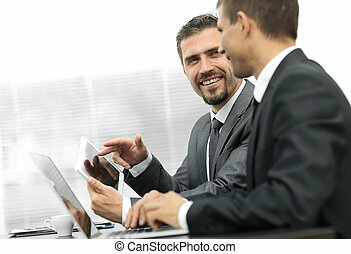 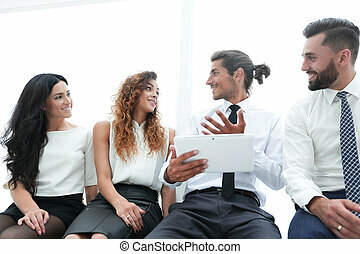 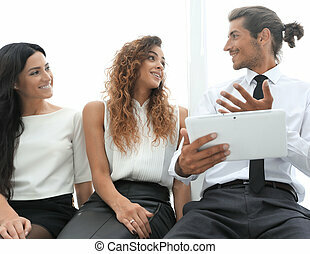 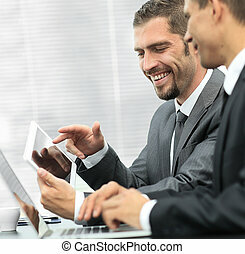 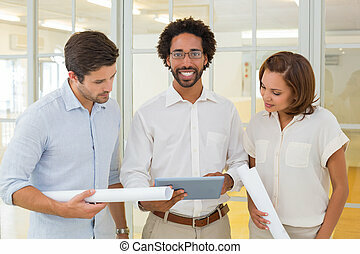 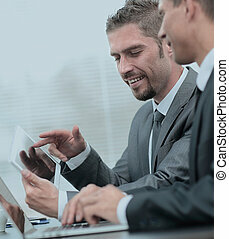 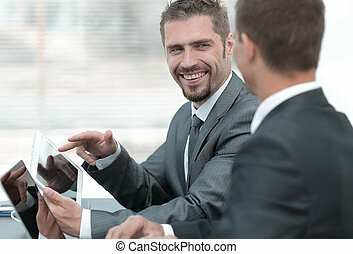 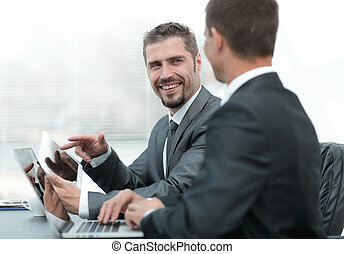 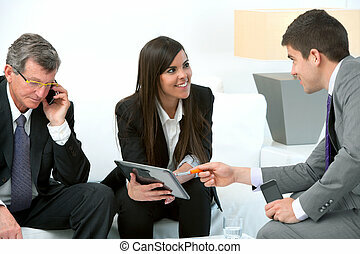 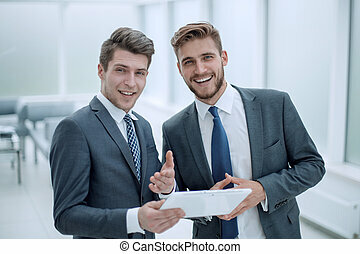 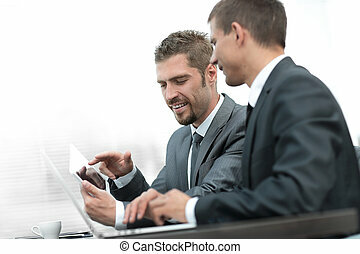 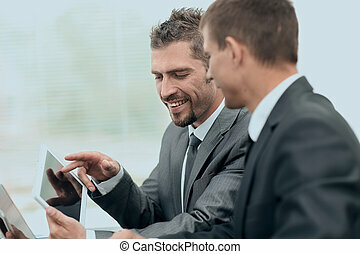 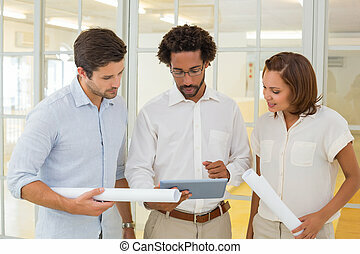 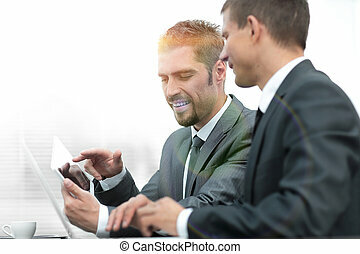 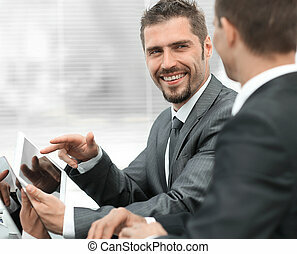 Business Colleagues With Digital Tablet. 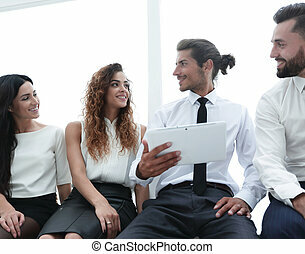 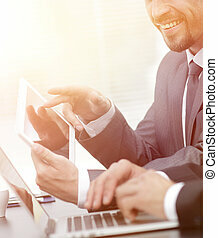 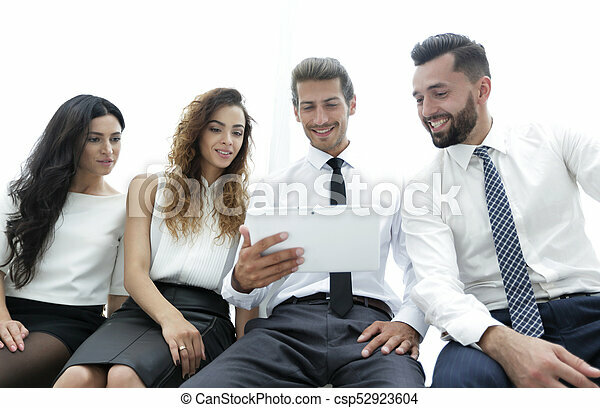 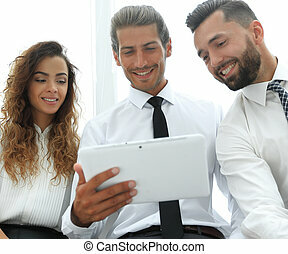 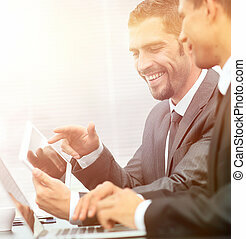 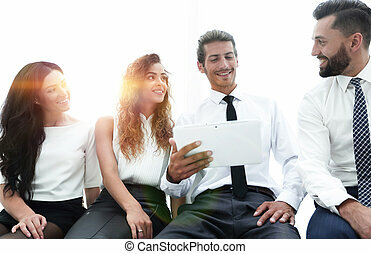 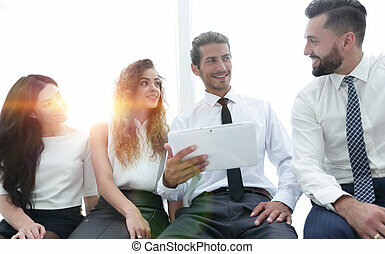 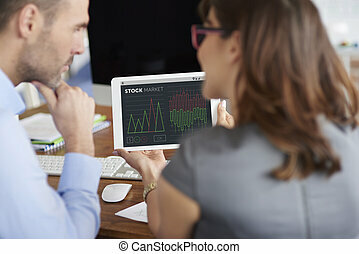 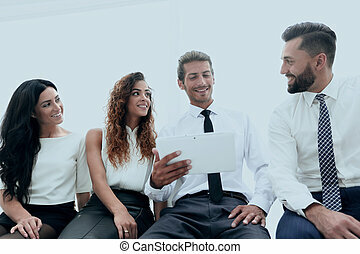 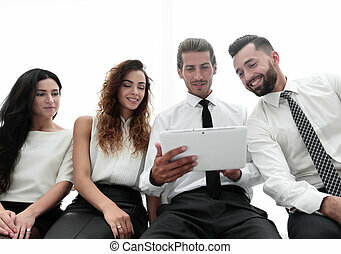 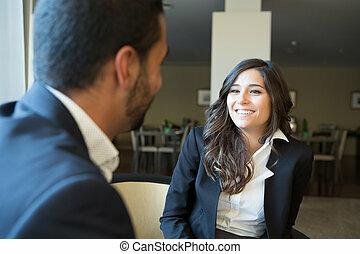 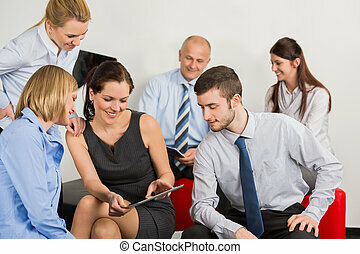 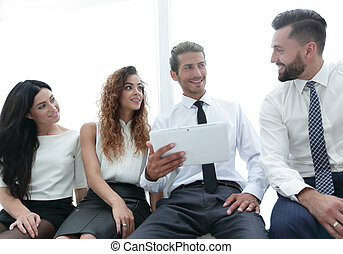 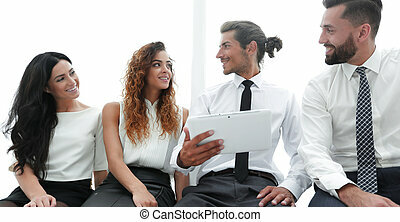 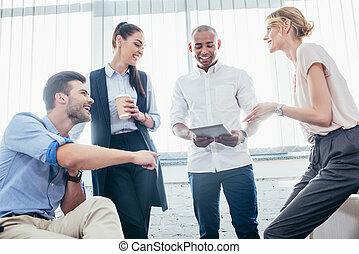 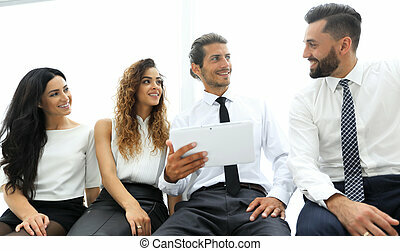 Business people using digital tablet at meeting.